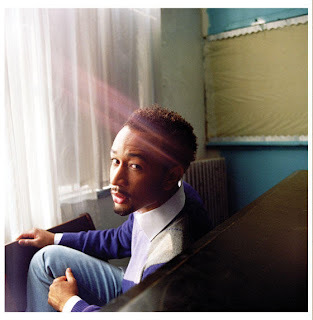 From the just confirm him already department... John Legend & Estelle @ Bass Concert Hall on Jan 23rd! John Stephens (born December 28, 1978), better known by his stage name John Legend, is an American soul singer, songwriter, and pianist. His debut studio album, the multiplatinum-selling Get Lifted, was released in late 2004, and features collaborations with rapper and producer Kanye West as well as Snoop Dogg. Get Lifted produced two singles: "Used to Love U" (US top 100, UK top 30) and "Ordinary People" (US and UK top 30). Legend has won five Grammy Awards. Prior to the release of his debut album, Legend's career gained momentum through a series of successful collaborations with multiple established artists. Notably, Legend sang the hooks for hits by Slum Village ("Selfish", also featuring Kanye West), Jay-Z ("Encore"), and Dilated Peoples ("This Way", also featuring Kanye West); played piano on Lauryn Hill's "Everything Is Everything"; and sang background vocals on Alicia Keys' "You Don't Know My Name" and Fort Minor's "High Road."